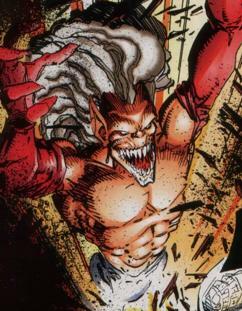 When the Fiend Entity was first locating a host with which to use to destroy Dragon, he selected an accountant for the Chicago Police Department. Charley McArthur had nowhere near enough hatred for the hero in order to make him a decent host body. When Frank Darling ordered his fellow officers to fire upon the Fiend, the human form of the villain was riddled with bullets and killed. The Fiend then departed, vowing to find a more suitable partner.